Yellowball is a digital marketing agency in London focussed on delivering results, working with market-leading brands throughout the capital and the UK across a range of sectors. With deep expertise in designing conversion optimised websites and driving organic traffic via SEO campaigns, we are dedicated to providing design and digital marketing services that fuel business growth. Attract and convert customers through beautiful website design and high performance search engine optimisation. 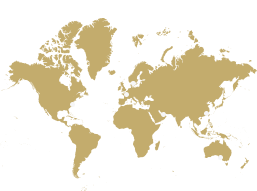 We work with clients in London, the UK and internationally, across a wide variety of sectors.